granny7x doesn't have any items in their booth! WHAT A WONDERFUL ASSET TO BONANZA…A FANTASTIC HONEST CUSTOMER AND BOOTH OWNER..I WISH YOU NOTHING BUT GREAT SUCCESS..THANKS FOR BEING SO WONDERFUL! I just joined Bonanza, and GrannyX wrote to me indicating that she had the “same” avitar! I guess her pic is of an Albino Peacock, but mine is of a pure White Peacock. He is mine, and he is 3 years old. What a way to meet people! Nice to meet you GrannyX, thank you for the warm welcome! Wonderful Seller & Friend! She ships her items with such care, buyers you can’t go wrong buying from granny7x! I am pleased not only to say granny bought from me but am so glad to have made her acquaintance along with a developing friendship. Brenda is great people. Granny is such a pleasure on Bonanzle as a Buyer, Seller and a Great source of inspiration. Highly recommend! Brenda is a wonderful asset to the Bonanzle community always so helpful and lighthearted. She is a wonderful trustworthy buyer and seller here as well. She consistently goes above & beyond for her customers and fellow Bonanzlers. It is a pleasure and honor to know her! A true pleasure to do business with as a Seller or as a Buyer. Loyal, generous, honest, helpful & kind with a great sense of humor as well! What a great lady! What an asset she is to the bonanzle community! Great customer service and great prices! Beautiful Items You have in your Store! This lady , is a Caring and Honest Seller, and a great Person, by all Her endorsements. I assure you she is one of a kind, and a bright star in this big universe. Do not hesitate to Buy or get to know her! May your 2010 Be Blessed With Love, Sunshine and Great Sales! Wonder asset to Bonanzle. You will not be disappointed working with this member. Transactions as smooth as glass. Great gal!! She was a very kind-hearted woman and would highly recommend to anyone. She is a woman of her word and these days that is one in a million. Thanks for NOV birthday PR0MO wishes> Anyone dropping POSiTiVE energy my waY = definitely deserves my individual PERS0NAL eND0RSEMENT ~ Please take a moment to visit membersâ€™ ( granny7x ) b00tH nextâ€¦MONTR0Se approves this message! Awesome service, prices and items! Thanks so much!! The elegant essence of the Peacock represented in Grannyâ€™s Avatar is just the beginning of the beauty and charm that you will find in Granny. 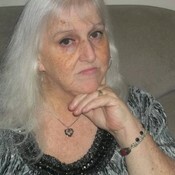 Granny is a very sweet, loving and caring individual who easily makes one feel at ease with her tender ways and humor. Granny is a true asset to Bonanzle and its Community. Plus, I gotta love a gal from my Hometown State. Granny here is one fantastic lady. She is a real family gal and you can see it in her postings in some of the threads here at Bonanzle. She has a kind heart and also believes in having a good time with lots of laughter and fun. Granny has a lot of interesting items in her boothâ€¦something for everyone in the family and priced very well. I know that she is a good business person too. She is sincere and honest and a great person to deal with. I know you wouldnâ€™t be disappointed if you purchased from her. Iâ€™m proud to call her a friend! One of the best sellers online and willing to work with buyers. My gosh, a very patient person. I have dealt with another seller on bonanzle who was not very patient, but granny7x makes up for that 10 times!!!! This person is a complete pleasure to work with. Thanks so much!!! Granny7X is more than a seller here. She is an asset to Bonanzle and to all of us who have been blessed knowing her. She has fantastic items at great prices and is a great buyer as well. Wonderful to do business with and I am proud to call her friend! she is one of the best buyers and sellers on bonanzle. There should be more like her. This Bonanzle member is a pleasure all around. Positive, friendly, active in the Bonanzle community, patient, understanding, awesome buyer and seller. I am so happy to have met her and been able to get to know her here on Bonanzle! This is a seller you can trust completely! Wonderful person to do business with. Beautiful items, quick shipping and fantastic customer service! I haven’t met Granny or dealt with her but I sure like her ability to apologize. Granny is a great person as seller shipments are very fast . Granny is also very kind and helpful person. She good quality Items in her store at very fair prices. Thank you so much for all your help to me personally. So the last comment is to Make sure you check her store out. Granny is not only a fantastic Seller and Bonanzler, but she is an incredibly sweet and caring person and has become a wonderful friend of mine. Granny is what being a Bonanzler is all about! Thanks for being you, Granny!